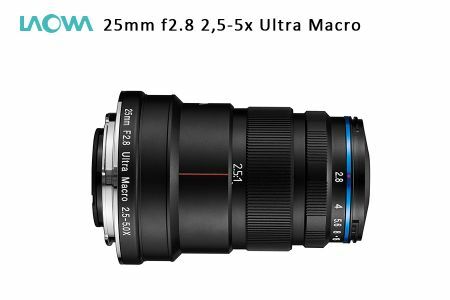 The Laowa 25mm f2.8 2,5-5x Ultra Macro for Sony E is a magnifying lens wich reaches from 2,5:1 to 5:1. The optical Quality is very high over the hole range of magnification and equable from the center of the picture to the edge. The lens has a high mechanical quality and a low weight of only 400 gramm. The lens is constructed for APSC form factor, mounted with a full frame sensor it can lead to vignets. The manual aperture reaches from f2.8 to f16, the lens is sharp wide open, a macro rail like Traumflieger Superstacker and focus stacking is highly recommended. Inasmuch it is a manual lens, there are no EXIF datas transmitted and it might be necassary to aktivate "shutter without lens" in the camera. Here comes a video test for the lens, only aviable in german language.